In 1800 Admiral Lord Keith succeeded Earl St Vincent (formerly Admiral Jervis), as Commander in Chief in the Mediterranean, with Rear Admiral Nelson under him. 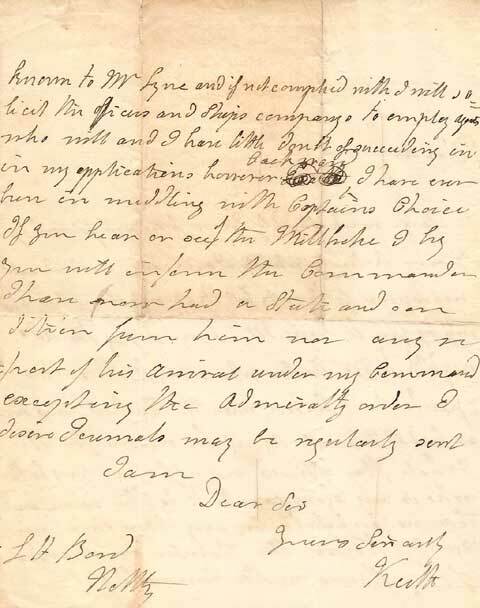 This letter is not all readable due to Admiral Lord Keith's penmanship, but it appears there has been some skullduggery going on with the bounty given to the officers of the fleet, from the prizes that were taken during the war. 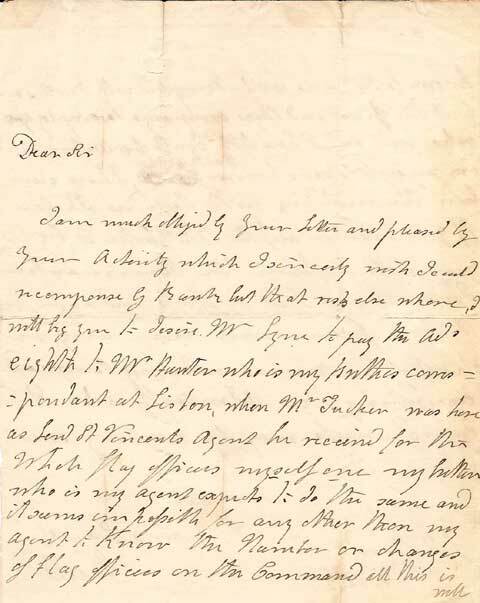 We estimate it was written in 1798, because it was addressed to Francis Godolphin Bond on the Netley.